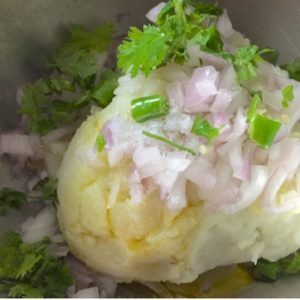 In our monthly journey to the different States of India, the Ssshhh Cooking Secretly Challenge FB group visited the North Eastern State of Manipur, this January. Just a virtual visit though, as the actual one is yet to happen. 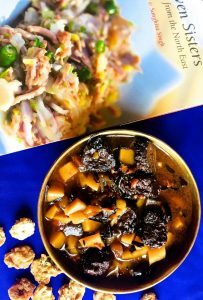 I therefore made a careful perusal of the vegetarian options available from online recipes and my 2 precious North East cuisine cookbooks. Finally, I zeroed down on a dish which incorporated the secret ingredients stipulated by my partner for the month, Vidya Narayan. The Manipuri Aloo Badi or Bori Thongba that resulted, was a real treat! The more I explore the cuisines of the States of India, the more I am amazed at the sheer variety of ingredients and the flavours they produce. Take this Panch Phoron Kaddu Sabzi for example. 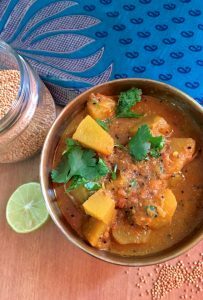 A Pumpkin Curry flavoured with the famous Indian 5 spice blend, panch phoron, and with the addition of yellow mustard powder in the gravy, is so simple to make and yet has such complex flavours. Add the aroma that wafts through the house as the Panch phoran sizzles in the hot oil, and you realise why you love cooking and experimenting with new combinations and tastes. Exploring the cuisine of each State in India by turn, is such an enriching experience. This Baingan Badi Sabzi, a delicious eggplant and lentil fritters curry from the traditional Bhojpuri cuisine prevalent in the Indian states of Bihar and UttarPradesh, is interesting to make and has ingredient options that make it nutritious too. The main ingredient is the brinjal or eggplant/ aubergine. This is accompanied by small sun dried badis which seems to have many names – wadi, wadiyan, mangodi etc. 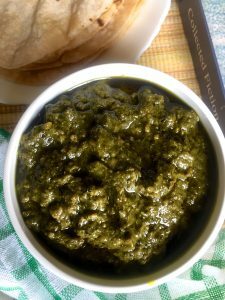 The basic ingredient for making a badi is flour – though the flour and spices, herbs to be added differ across regions. I have made a simple Bihari Urad dhal ki badi, with black gram lentils. The recipe is given in the instructions below.